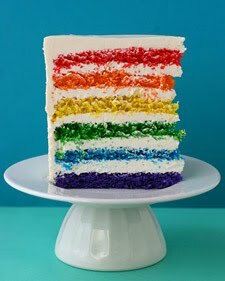 This is just a basic cake recipe, there isn't anything special about it - but it's appeal is that you divide the batter between 6 different bowls and color each so you end up with a rainbow of colors. I'm adding this one to my online collection but I have an idea for you; with the Fourth of July coming up in just a few weeks, try making 3 each of red and blue to make a patriotic holiday cake. Mmmm. I love this cake. It's so fun! On May 23rd my oldest daughter flew to Kingston, Jamaica to start a 10 day mission trip. We had no idea that fighting and turmoil would be breaking out but her plane landed just as the council there was declaring a State of Emergency. Since then, life goes on, but I'm spending a lot of time reading the news, finding updates of the situation in Kingston and where the barricades, the drug cartels, the deaths and random shootings are happening. I know she is currently safe and the fighting is still focused on certain areas but with civilians being killed and the US Embassy reducing services as well as three flights being canceled yesterday... well, my mind is occupied. Don't worry - I haven't gone anywhere! But my mind is preoccupied so I tend to do tasks that keep me busy while my mind wanders. Scrubbing the bathroom floor and organizing closets come to mind! I'll try to update tomorrow - check back soon. Thanks! Alfalfa sprouts recalled because of salmonella poisoning were sold to more than 400 Wal-Mart stores in 15 states, a spokeswoman for the retail chain said Monday. The raw sprouts sold by Caldwell Fresh Foods were sold to Wal-Marts in Alabama, California, Georgia, Iowa, Illinois, Indiana, Kansas, Kentucky, Louisiana, Missouri, Mississippi, Nebraska, Nevada, Oregon and Wisconsin, the company said. The federal Centers for Disease Control said last week the alfalfa sprouts appear to have sickened at least 22 people in 10 states, including a baby in Oregon. Eleven of those sickened were in California. The sprouts were sold in at least seven other stores in California, including Trader Joe's. Caldwell, based in Maywood, Calif., said in a release that the sprouts were sold at restaurants, delicatessens and retailers nationwide but the company has not released a complete list of the outlets that purchased the sprouts. Caldwell Fresh Foods did not respond to requests for comment and no one answered the phone at the company's headquarters on Monday. According to the Oregon Department of Human Services, which was first to announce the outbreak last week, Caldwell's alfalfa product was sold in 18 states in the West, Midwest and South. In addition to those who were sickened in California, two were sickened in Nevada and two in Wisconsin. Arizona, Oregon, Idaho, Illinois, Missouri, New Mexico and Colorado each had one person become ill, the CDC said. The illnesses began between March 1 and May 2 and six people were hospitalized. Salmonella is an organism that can cause serious and sometimes fatal infections in those with weakened immune systems. It can cause diarrhea, fever and vomiting. Wal-Mart spokeswoman Caren Epstein said sprouts were removed from the produce departments of the affected stores as soon as the retail chain was made aware of the recall. 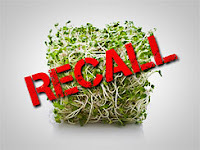 Caldwell said the recalled alfalfa sprouts were sold in plastic cups and plastic bags under the Caldwell Fresh Foods brand, plastic cups under the Nature's Choice brand and plastic containers under the California Fresh Exotics brand. William E. Keene, a senior epidemiologist at the Oregon health department, said the baby sickened was a 4-month-old boy who ate alfalfa sprouts mixed with other foods. His sickness made the cause of the outbreak easier to identify, Keene said, because the infant had not yet eaten many foods. He was hospitalized but later recovered. On Sunday afternoon I was doing the mundane household chores that are never-ending; dishes, laundry, vacuuming. Suddenly I was in the mood to make a cake. I didn't know what kind, but I knew I wanted to bake. I opened my files and glanced at a random untried recipe. It was for an Amaretto cake. It called for starting with a cake mix. Therein lay the deciding factor. Did I have a yellow cake mix on hand? I checked and the only cake mix in the house happened to be... yellow! I had bought it to make our families favorite lemon cheesecake bars but the almond flavored cake was going to win out. It's a very light, moist cake with very good flavor. As a matter of fact my daughters friend was over after school, tried it, deemed it one of the best cakes she has ever had in her life. I sent 1/3 of the cake home with her to share with her family. I hope you enjoy it as much as they did! Heat oven to 325. Grease and flour a 10" tube or Bundt pan; sprinkle chopped almonds over the bottom and set aside. In mixing bowl, combine cake mix, pudding mix, eggs, oil, water, amaretto and almond extract. Beat on low speed with electric mixer about 30 seconds until dry ingredients are moistened. Increase speed to medium and beat 4 minutes. Pour batter into prepared pan and bake until done - approximately 1 & 1/2 hour for bunt/angel food style pan. Cool cake 10-15 minutes before removing from pan. Cool completely and place on cake plate. For glaze, in small saucepan, combine sugar, water and butter and bring to a boil. Reduce heat to medium and gently boil 4-5 minutes, stirring occasionally, until sugar dissolves. Remove from heat and cool 15 minutes. Stir in amaretto and almond extract. Punch holes in cake from top to bottom with wooden pick or skewer. Slowly spoon glaze over cake until entirely absorbed. 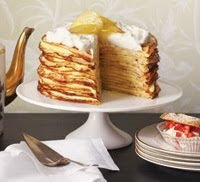 *I opted to boil the amaretto with the sugar syrup to boil off the alcohol and lessen the strength of the amaretto flavor so all family members and the kids friends could enjoy the cake without a strong amaretto alcohol flavor. Wash, stem and crush the fruit. Add water and bring to a boil. Reduce heat and simmer 10-12 minutes. Extract the juice with a jelly bag. Combine 3 cups of juice with the sugar. Heat until dissolved. Bring to a boil and remove from heat. Add pectin. Stir and remove scum from top. Pour into sterilized jars and seal. Makes about 7 8-oz. glasses of jelly. Regular visitors here will remember when my husband called me from work on Saturday night to tell me we had dinner at his boss's house the next night... and we needed to bring a dessert. Not sure which kind he wanted to bring, he asked me to make two of them. One white cake and berries trifle and the second, chocolate. Here is a quick photo I snapped of the Berry Trifle. A huge hit! White cake with white chocolate pudding layer, strawberry glaze layer, homemade whipped cream layers with raspberries, blackberries and strawberries. How about this little bit of information I found a few weeks ago regarding 'organic' foods and how they actually may not be as clean as we thought. 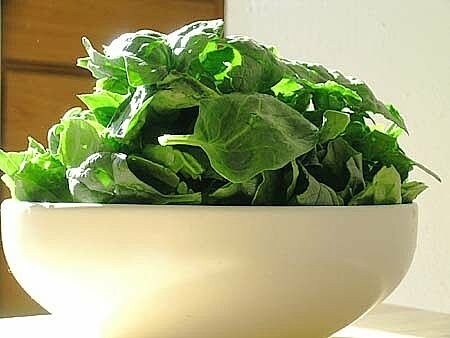 Organic fruits and vegetables may still be grown with pesticides. They’re just not synthetic chemicals. 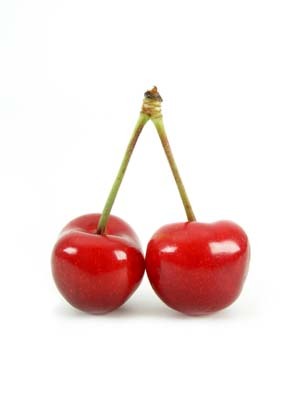 Biological pesticides are allowed in the treatment of organic produce including pyrethrum, a potentially cancer-causing substance that happens to be organic. 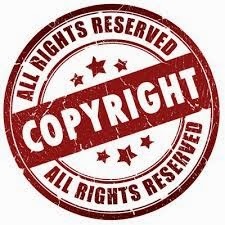 Plus, if an organic farm is located near a non-organic farm, there’s always a chance that pesticides from the synthetic chemically treated land can be carried by the wind to the organic farm. Plus, organic produce can still harbor bacteria including E. coli, notes Marie Claire magazine. From an old issue of Southern Living - about 5 or 6 years ago! Sauté onion in 1 Tbsp. hot oil in a large skillet over medium-high heat 5 minutes or until tender. Add garlic, and sauté 1 minute. Add beef, and cook, stirring occasionally, 10 minutes or until beef crumbles and is no longer pink. Drain beef mixture, and return to skillet. Stir in diced tomatoes, next 4 ingredients, 1 tsp. salt, and 1/2 tsp. pepper; bring to a boil. Reduce heat, cover, and simmer, stirring occasionally, 30 minutes. Remove and discard bay leaf; set meat sauce aside. Place lasagna noodles in a 13- x- 9-inch pan. Carefully pour 8 cups boiling water and remaining 1 Tbsp. olive oil over noodles. Let stand 15 minutes. Stir together ricotta cheese, eggs, Parmesan cheese, remaining 1/4 tsp. salt, and remaining 1/4 tsp. pepper until blended. Spoon half of the meat sauce mixture in a lightly greased 13- x 9-inch baking dish. Shake excess water from noodles, and arrange 6 noodles over meat sauce; top with half of ricotta mixture and 1 package mozzarella cheese slices. Repeat layers once. Bake, covered, at 350° for 55 minutes. Uncover and bake 10 to 15 more minutes or until bubbly. Let lasagna stand 10 minutes before serving. Garnish, if desired. Top 1 side of 6 tortillas evenly with cheese, and chicken. Top with remaining tortillas. Cook quesadillas in a lightly greased skillet or griddle (my daughter likes to use our George Foreman Grill) over medium-high heat (350°) 2 to 3 minutes on each side or until browned. Cut each quesadilla into quarters. Serve with desired toppings. For the first 10 years of our marriage I didn't make chili more than oh, maybe 5 times. We weren't ground beef eaters, we didn't eat a lot of red meat and we lived in area's of the country where the winters we not very cold. (Southern California, for example.) After we moved to Minnesota we started to eat more ground beef in part because it was regional but mostly because we were a family of five living on one very, very small income and trying to pay a mortgage. With winters being 7 months long and the temperatures often staying below freezing for a week or two at a time, I made chili more often! I also found a mixture of ingredients that our family loved and it became my chili recipe. I've made roughly the same chili recipe for about 12 years now. A year or two ago I stumbled across a recipe without a real name, that included can after can after can of beans. In the end I realized it was a 'chili' recipe but the ingredients, with a pound of brown sugar, a bottle of maple syrup and a kazillion cans of beans was just... crazy! Which is why I call it "Crazy Chili". You can add up to 3-4 more cans of whatever beans you want to this list... personally I think more chili beans make it more 'chili' like but it's a great crowd-pleaser as it serves so many and is kept in a crock pot! 3-4 more cans of whatever beans you may want to add! Simmer in a crock pot on low for 8-10 hours. Serve with a sprinkle of grated cheddar cheese on each. Throughout my life I've always thought as recipes being things that only counted when you were making them from scratch or 'homemade'. If I was in a hurry or just felt like using store bought products for the ingredients and throwing something together, I never would have thought to write it down or call it a recipe. 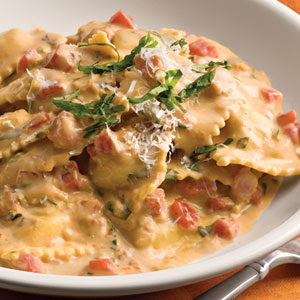 So while reading the news, I saw a link that caught my eye and before I knew it I was clicking through to Southern Living and looking at a mouth watering photo of a delicious ravioli pasta meal. When I clicked to see the 'recipe' to make it I saw it used almost all store bought products and it was thrown together in about 15 minutes. Pasta, a jar of sauce, a little bit of this and that from your refrigerator and/or garden to add to it and you have a simple and fast meal for any week night. Meanwhile, pour Alfredo sauce into a medium saucepan. Pour wine into sauce jar; cover tightly, and shake well. Stir wine mixture into saucepan. Stir in chopped tomatoes and 1/2 cup chopped basil, and cook over medium-low heat 5 minutes or until thoroughly heated. Toss with pasta, and top evenly with 1/3 cup grated Parmesan cheese. Wow, that's quick and easy! Even though I've had these delicious, huge, amazing salads two nights in a row, I've not gotten a picture of them... they looked so good and I was so hungry that I ate them before I could snap a photo! Seriously! I thought about taking pictures but they smelled so good and looking so inviting and my stomach was rumbling... so I have to resort to a 'general' photo off google. My hope is that you leave the black olives in. AND that you try to get a bit of all the ingredients together on the fork with each bite as the melding of the flavors together is what makes your mouth happy. I can't call it a Greek Salad just because it has feta and black olives in it. I can't call it an Italian Salad just because I like to use an Italian Vinaigrette in it. So... it's just a green salad with feta and black olives! If you are a regular reader, you'll know that about 3 times a year my husband and I do a couple weeks (or a month) of no sugar, no wheat, low carb eating. During these times I am always trying to find new recipes to try, play with, and adapt to something we love. This recipe caught my eye because it was a snack that could make you feel like you were cheating, even if you weren't. I only made it once - about a year ago - but my husband and I always start to crave the no sugar/no wheat 'thing' in May and June with the coming of the warm weather and the ability to grill shrimp, steak, chicken and salmon every day of the week if we wish. Low carb and summer seem to go hand in hand for us. 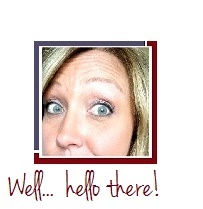 I'm keeping this one here in my website files for future use so I don't have to go far to find it! Chop the frozen cheese in a food processor until it's in tiny pieces. In a mixing bowl, blend the egg whites, cream of tartar and salt at high speed, until whites form stiff peaks. Sprinkle the chopped cheese on top of the egg whites and using a rubber scraper, carefully and gently fold in the cheese without breaking down the egg whites. Place 1/2 teaspoon full dabs of the mixture on parchment lined baking sheets. Lightly tops with butter flavored cooking spray. Lightly sprinkle grated Parmesan cheese, on top of each puff. Bake at 300 degrees, for approximately 35-40 minutes and turn off the oven, leaving the cheese puffs in the oven for a few hours, overnight if possible. In years past we lived in warmer regions of the country, but where we currently call home, Spring has just sprung so to speak. Last night was the first cookout's of the season and really, only possible with an incredibly beautiful, large fire pit in the center of the patio with outdoor furniture surrounding it so we could all prop our feet (or our backsides) to the flame to stay warm. But! We know that summer is on it's way and last night was a good taste of incredible backyard bbq's to come. Here is a quick and simple BBQ Chicken Pizza recipe I found about a year or two ago that I jotted down as a reference because frankly, I've been making this kind of pizza for about 12 years now already. But this one has red pepper and gives amounts of things to use for those who have never attempted this style pizza before. It's one of our favorites although I 'play' with my food (as you know!) and I like to use smoked gouda and I don't use red bell peppers. But like I always say - use this as a guide and then make it your own! Unroll pizza crust; press or pat into a lightly greased 13- x 9-inch pan. Bake crust at 400° for 12 to 14 minutes. If using a Boboli style, just top your pizza - do not bake yet. Spread 1/2 cup barbecue sauce evenly over top of pizza crust in pan. Arrange chicken strips evenly over barbecue sauce, top with onion mixture, and sprinkle evenly with cheese. Yesterday I was running errands with my 14 year old and while in the middle of JoAnn's Fabric store around 5:00 pm, my husband rang my cellphone. "Uh, honey, apparently we have a bbq at my boss's house tomorrow night.... and we need to bring a dessert." Having just returned from vacation to South Carolina (we came home with $3.70 in our checking account) and having just wrote out a check for my oldest daughter's church Mission Trip at the end of this month, we have little groceries to work with. My mind raced. What can I make? What would they like? What does my husband wish to bring? "What would you like me to make?" I asked him. "Umm, I think that cake thing. You know. With cake and like, whipped cream or something... you know." "The white cake with whipped cream that looks like a basket with strawberries on it?" "Yeah! Wait... No. Um, that thing where you put it in a glass bowl with layers and blueberries and strawberries and things." "Yes! That would be awesome!" "Do you think we should bring something chocolate though? This group really likes chocolate desserts. I could do a chocolate trifle with a layer of chocolate pudding and a layer of peanut butter filling." "Yeah that too. Let's bring both!" So last night I returned home from the grocery store and made a white cake and a chocolate cake and this morning by 8:am had them both assembled to chill. First: White cake with white chocolate pudding layer, strawberry glaze layer, homemade whipped cream layers with raspberries, blackberries and strawberries. Second: Chocolate cake with chocolate pudding layers, homemade whipped cream and a rich peanut butter filling layer with a chocolate coffee topping drizzled on top. TRIFLES: Quick and easy to assemble, fun to 'play' with ingredients (you can't go wrong) and they are crowd pleasers every time!